Three Unions for three provinces occured in 1918. 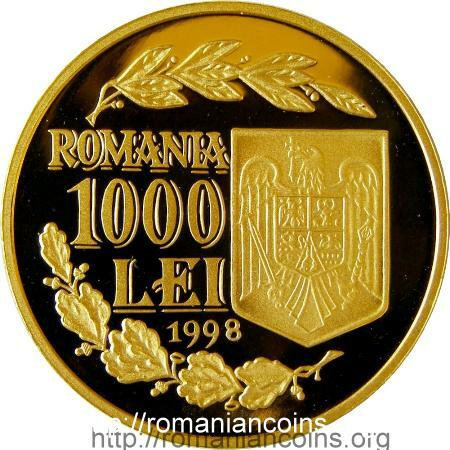 (The capital of Romania was at Iaşi those moments, that making Iaşi "City of the Three Unions".) The last of them took place on December 1st when the Great National Gathering at Alba Iulia voted the everlasting Union of Transylvania (together with Banat and Crişana that formally do not belong to it) with the MotherLand and so came to pass that the National Day for Romania is December 1st. 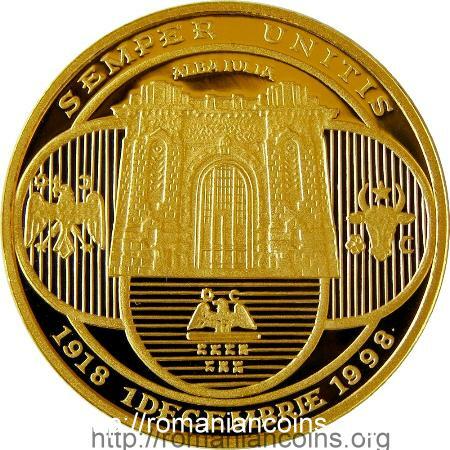 The Great Union of 1918 occured as result of the Great Recompletion War that cost Romania and the Romanians many lives and excruciating distress that nevertheless were gladly paid. In 1914 the great World War started, the same year king Carol I died. Prince Ferdinand, raised in Romania and in effect more a Romanian than his predecessor, became king to achieve even more glory. Romania stood aside and only entered in the war in 1916, after receiving from France, England and Russia guarantees to gain back Transylvania and Bucovina, once Austria-Hungary defeated. The war was tragical, over 200.000 soldiers and 2.000 officers being lost until 1918, huge losses for a small country like Romania of the time. Civilian casualties raised very high also because of plagues and hunger. Eastern Moldavia, mischiefly baptized Basarabia in 1812, was the first to return to the MotherLand. The name was a Romanian one, reminding of the Walachian (therefore not at all Moldavian) dynasty that once had ruled a part of it, yet wrongly applied. The great communist revolution had broken out in Russia during October 1917, with great consequences for the Romanian front. The Moldavian soldiers in the Russian army returned soon home and established the basis of a wide representation Parliament, simultaneously trying to maintain order on a territory criss-crossed by armed Russian bandits that left the front in complete disarray, terrorizing and thieving the civilians, that is on both halves of Moldavia (the western, Romanian half, being the one inheriting the medieval principality and the eastern the one occupied by Russia in 1812). As for the western Moldavia, since Russian armies were defecting all along its frontline and the frontline upper north too (in Bucovina and Galicia), it was harder and harder to be defended. Romania asked the Russian chief on the Romanian front for help repeatedly - he in turn replied that, accordingly to the directions the new leaders of the revolutionary Russia (led by Kerensky) gave him, his mission would only be to occupy the rest of Moldavia (that is the western), not at all to help the Romanian kingdom in any means. Once the Parliament drawn up, featuring representatives of each district, each social class and each minority, the Moldavian Democratic Republic was proclaimed over the territory of the former Basarabia gubernia. Similar events were occurring at the time in Finland, Lithuania, Estonia, Letonia (Latvia), Ukraine and other oppressed countries and territories of the gone Empire. On March 27th (old style) / April 9th 1918 the Moldavian Democratic Republic Parliament voted in the most democratic manner the Union to the kingdom of Romania that was living darkest hours, being reduced only to the territory of Moldavia between 1812 and 1856, since the Germans had occupied Bucharest and the entire south. The vote was hurried by Ukraine threatening to militarily occupy the former Basarabian gubernia. In late autumn 1918 Bucovina and then Transylvania joined Romania. In Bucovina the Romanian National Council organized the General Congress of Bucovina that voted on November 15th - old style / November 28th - new style "Unconditional and eternal Union of Bucovina in its old boundaries over to Ceremuş, Colacin and Nistru, with the Kingdom of Romania". 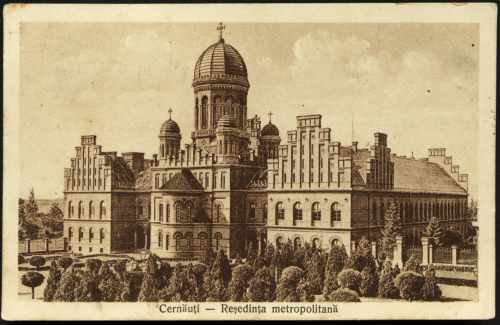 The vote took place in the Great Synodal Hall of the Metropolitan Palace in Cernăuţi and enjoyed the agreement of the Pole and German National Councils in Bucovina. It shall not be forgotten that this old region of Moldavia had been heavily colonized by Austria in order to shatter national togetherness, mainly with Ruthenians and Jews, colonization having as result in 1918 the Romanians not representing anymore the ethnic majority of the province artificially created in 1775. So the Union took place as consequence of the historical right. Alba Iulia, the very place of the first Union of 1600, was the city where over 100.000 Romanians come from all over Transylvania, from each village and each town, voted by free speech the act of Union on November 28th - old style / December 1st - new style). The war for Transylvania ended the next year. The communist revolution of Bela Kun spread its plague in Hungary in 1919 and finally took over proclaiming the Soviet Hungarian Republic. Soon enough afterwards the Hungarian army had already attacked Romanian borders forcing a strong reply. A few weeks after, achieving outstanding victories, the Romanian army entered Budapest, ridding Hungary and Europe of the communist threat. The borders of Romania and all the others were decided at the Paris Peace Conference (1919-1920) by the victorious states (Great Britain, France, the United States of America, Japan, Romania, 27 in total), being thus guaranteed by the most powerful forces of the world. Romanian borders were decided by the Treaty of the Versaille Palace.